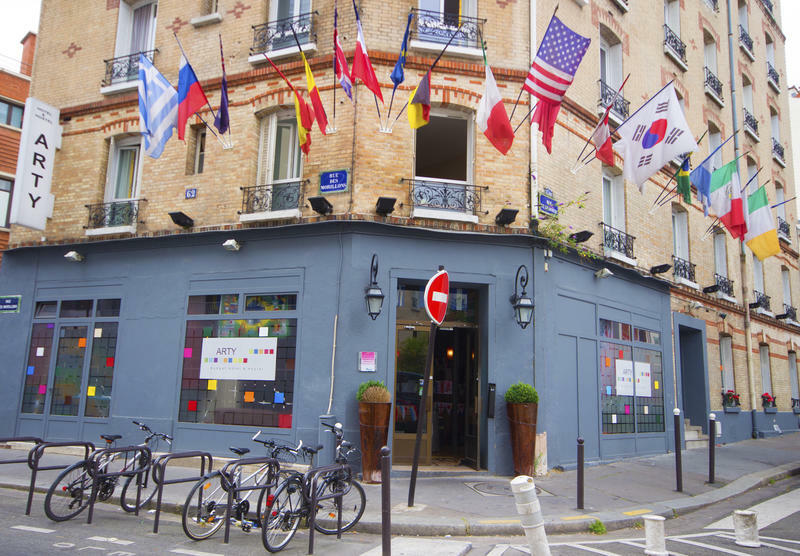 Experience an authentic Parisian neighborhood by staying at Arty Paris Hostel & Budget Hotel. Located very close to Montparnasse and directly in the beautiful Brancion neighborhood, Arty Paris offers convenience to all the Paris attractions while providing a uniquely local experience. Arty is a locally owned and operated hostel that strives to deliver quality service, free wifi, free luggage storage, a friendly atmosphere, and an overall delightful stay. All our single, double and triple rooms are equipped with ensuite bathrooms, and a free Parisian breakfast is provided each morning. In the metro station, take EXIT 4 (blvd Lefebvre). When you exit the metro station, you will see an overpass (bridge). Walk under it and keep going to Brancion St. Turn right on Brancion St. and walk to Des Morillons. (You'll be walking next to George Brassens Park). Turn right on Des Morillons. It's about a 10-minute walk.